What dining options are available at ESPN Wide World of Sports? A ESPN Wide World of Sports offers several dining options for its event participants and spectators. Options include full-service dining at the ESPN Wide World of Sports Grill, Boxed Lunches for Teams, Snack Carts, and more. Not all dining options are available during events so be sure to check online at espnwwos.com for dates, hours of operation and availability. What types of food and beverages are available at the ESPN Wide World of Sports Complex? A Our menu items include a variety of options including burgers, sandwiches, pizza, and fresh salads, as well as an assortment of desserts and beverages. The ESPN Wide World of Sports Grill has a full bar which is open during regular restaurant operating hours. We also have concession stands and traveling food carts that offer snack items including peanuts, pretzels, popcorn, bottled drinks and more. These are located throughout the ESPN Wide World of Sports Complex. The locations and operating hours will vary depending on competition schedules. Does the ESPN Wide World of Sports Complex offer meal options for guests with special dietary requirements or food allergies? What about the Walt Disney World® Resort? A Both the ESPN Wide World of Sports Complex and the Walt Disney World® Resort offer culinary options to meet many alternative dietary needs. When making dining reservations, be sure to indicate any food allergies or intolerances. 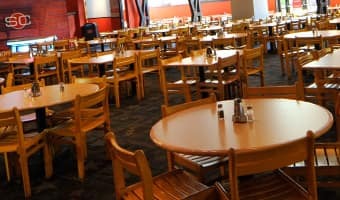 The sooner we are made aware of these conditions, the faster we can provide you with alternate dining options. For teams traveling in large groups, we can also accommodate most needs for boxed lunches that require vegetarian, vegan, gluten-free and kosher options. For more information on special dietary requirements, please call 407-WDW-DINE or (407) 939-3463. I am traveling with a large team of athletes. Do you offer any packaged meal options for groups? A Yes, at ESPN Wide World of Sports Complex we strive to provide our guests with the most convenient options for dining in large groups. One of the many options includes a team meal plan. Offering a variety of food options, these individual boxed meals can be ordered in advance of your arrival and will be delivered right to the location where your team is playing! What options are available for team meals? Does it cover only lunch? A Team meal options are available for all manner of dining throughout the day. We know that many teams may have schedule changes that prevent them from making regular meal breaks. With that in mind, the team meal options are available for breakfast, lunch, and dinner. Our bagged breakfasts include fresh fruit, muffins, yogurt and juice. For lunch options we offer fresh turkey sandwiches, ham & cheese, vegetarian options and more. All boxed lunches include potato chips, a fresh baked cookie, apple, and a 12-ounce bottle of water. We also offer pizza options and Caesar salads. How do I pre-order meals and snacks for my team? How far in advance do I need to book them? A We ask that you place your team meal order no less than 48 hours in advance of your event date. Deliveries for Saturday, Sunday or Monday must be received by 3pm EST on Thursday. You can place your order by fax or email. Please fax your order to (407) 939-4896. You can also email orders to wdw.ewwsboxedmeals@disney.com. Please be sure to specify any special dietary requirements or food allergies when placing the order. If you have further questions regarding your order, or would like to speak with a Team Meal representative, please call (407) 939-2026. What are the costs associated with team meals? A Team meals are priced based on individual participants. Our bagged breakfasts start at $6.99 and boxed lunches at $8.29. For a full list of menu options and pricing, please email wdw.ewwsboxedmeals@disney.com. Please note that all prices are inclusive of tax and are subject to change without notice. If you have further questions regarding your order, or would like to speak with a Team Meal representative, please call (407) 939-2026. How do I go about modifying or canceling an order once it has been placed? How can I verify if my order was placed? A If you have further questions regarding your order, or would like to speak with a Team Meal representative, please call (407) 939-2026. Meal cancelations must be made 24 hours in advance of your scheduled date. I would like to host a private party or gathering for my team. Does ESPN Wide World of Sports Complex offer options for Special Events? A Yes, special food and beverage options are available for your event including catered meals or private parties. 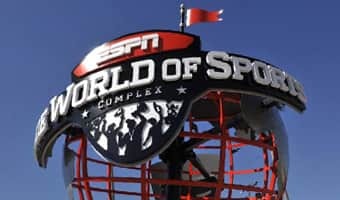 To learn more about Special Event options, please visit https://espnwwos.disney.go.com/contact-us/. From there you will be prompted to fill out a contact form. Disney Convention Catering Services will process the form and a representative will contact you shortly. Am I able to make a Walt Disney World® Resort restaurant reservation from ESPN Wide World of Sports Complex? A While you're on property at ESPN Wide World of Sports Complex, be sure to visit the Welcome Center, located in the central hub of the complex. Staff members are ready to help with a variety of needs including theme park hours, restaurant reservations, group tours and excursions. You can also utilize the Welcome Center to purchase both theme and water park tickets, inquire about special events happening around Walt Disney World property, and much more. 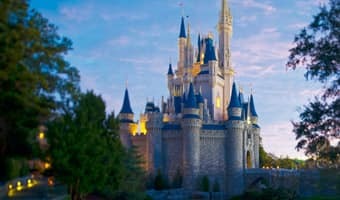 Guests may also go to disneyworld.com, or call 407-WDW-DINE, to make dining reservations at locations inside Walt Disney World® Hotels, Theme Parks and Disney Springs.